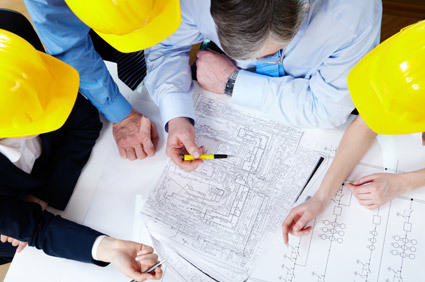 A well managed project is essential for ensuring the success of any project. A project may be well conceived and contracted and the contractors and workers highly experienced, but if all aspects of any project are not expertly integrated and managed, it may end up over budget, off schedule, or even fall short in workmanship quality. Since 1995, we have met the increasing demand for cost-efficient, responsive project management services for the even the most discerning clients. Bowe Contractors Inc. has the experience, knowledge and expertise to manage all facets of each project we undertake. We are committed to utilizing a proactive approach designed to prevent unforeseeable incidents that can potentially hamper a project's success such as: delays, scheduling issues, change orders and design errors during the construction process. Our management method has a proven track record of delivering in a variety of environments for both commercial and public works projects. Even if issues do arise, our experience enables us to analyze problems, propose workable solutions, and follow up to ensure successful resolutions. From master planning through construction, we ensure that our client's project needs and goals are met and their vision is realized.